The Wire seems to be on a mission – to spread innuendoes, lies, propaganda, misrepresentations, and other such canards. They choose to call this ethical travesty “journalism” for some very odd, misplaced reason. They seem to have realised that going after seasoned politicians would not be fruitful. Especially, given their penchant for rhetoric and shoddily researched screeches that they pass off as “investigative journalism”. The next “logical” thing to do, to target the politicians they despise, would be going after their families. They did so with Amit Shah, with their Jay Shah story that fell flat on its ill researched face in a matter of hours, and as if to trump their own idiocy, they have done with again with Shaurya Doval, National Security Advisor Ajit Doval’s son, with an even more ridiculous article than the last. The first thing that came to my mind when I read this “exclusive” report by The Wire was that EACH of these “charges” are applicable to any leading mainstream media organisation; including the first charge, for we all know how various politicians, who have been ministers at some point of time in their political career, directly or indirectly hold shares or control in media entities. The Wire confusing a legitimate business as something improper is not new, as they displayed their lack of understanding even in the case of Jay Shah, where a legitimate business was slandered with innuendos. They have done it again. India Foundation is a think tank which is run by several people of which, Mr. Shaurya Doval is one of the Directors. The subtext of this article clearly attempts to establish guilt by association almost contending that the sons and daughters of serving government officials should not work in institutions that are funded by corporates that might seek contracts from the government. That would be an amusing argument considering many journalists, especially those from NDTV, are children of bureaucrats and media organisations often partner with government on projects apart from receiving government ads. This logic doesn’t hold water by any ethical or industry standard. Essentially, if The Wire thinks that the business of running such events or activities should worry a common man, similar events by every mainstream media organisation should also worry a common man. And actions of organisations like The Wire, whose founders have made a mockery of ‘conflict of interest’ and earning money through ‘networking’ should worry even more. But I will come to that later, first let us really see whether these “charges” even stick. 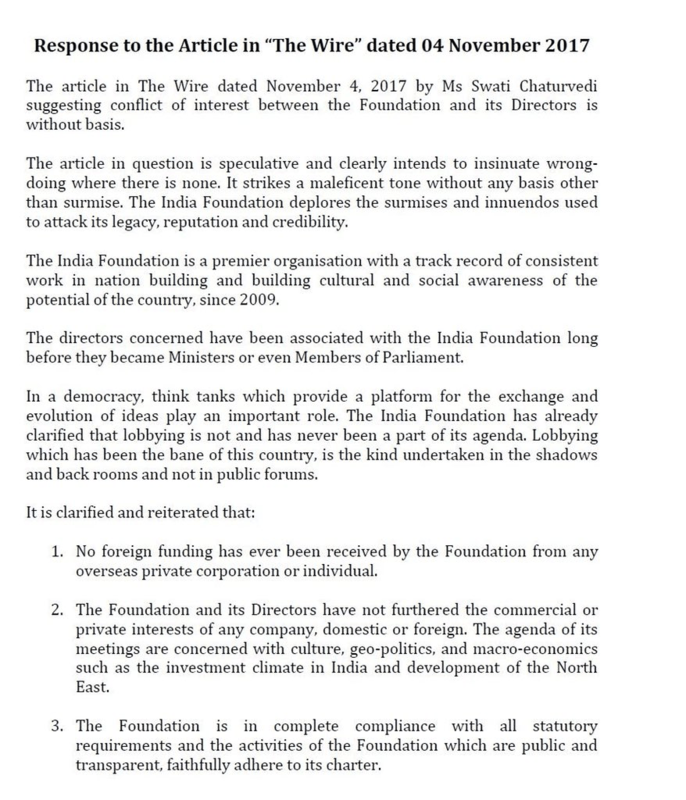 The article in ‘The Wire’ says that the Foundation has directors who are also Ministers in the government, and hence, that points towards Conflict of interest. What is interesting is, the said Ministers who are Directors in the Foundation, have held the position of Director before they even became Ministers. In fact, they became Directors when BJP wasn’t even in power at the centre. Thus, their conflict of interest by virtue of holding both posts has no evidence whatsoever. Also telling that somehow, nobody has made such allegations against Sonia Gandhi, P Chidambaram and Manmohan Singh who were involved in the Rajiv Gandhi Foundation. As explained earlier, this is something every media organisation does, including The Wire, which itself partnered with ‘The Raisina Dialogue’ in 2016, hosted by ORF (pdf), which is funded by Reliance, which in turn is always vying for Government contracts. This event was also based on bringing Ministers onto the stage. 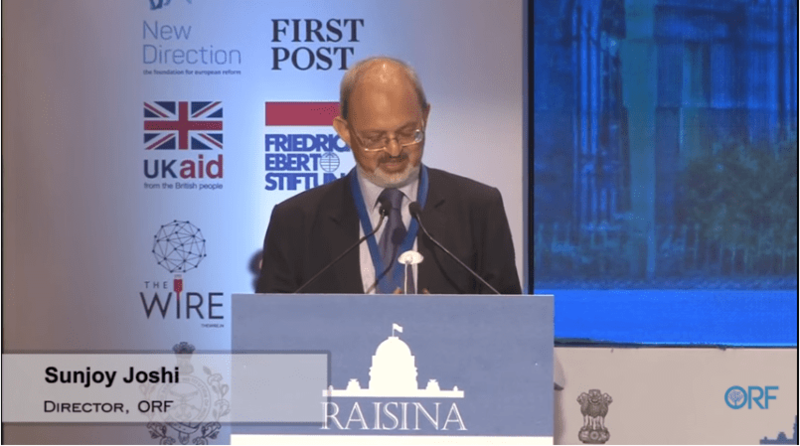 Since ‘The Wire’ has now published a slanderous article attempting guilt by association, would it be fair to assume that Mr. Varadarajan and The Wire’s association with The Raisina Dialogue was a ‘conflict of interest’? Interestingly, Mr. Varadarajan was also present at the Chaophraya Dialogue which was sponsored by Australia India Institute as can be seen from the illustration below. 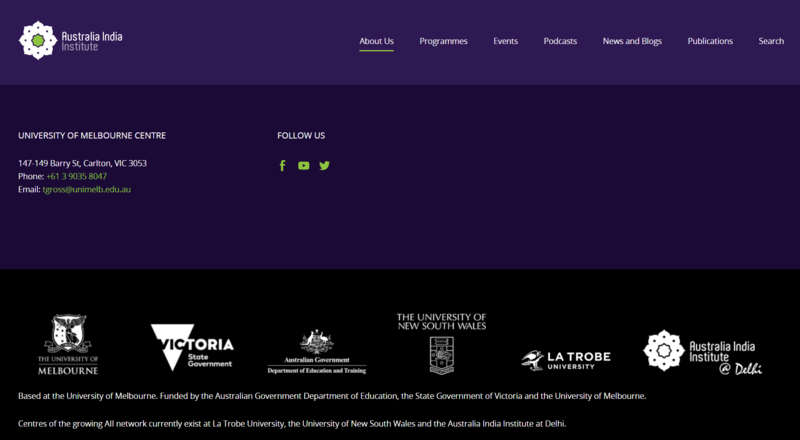 The Australia India Institute is in turn sponsored by the Australian Government’s Department of Education and Training and the Victoria State Government, among others. Again, I am making absolutely no allegations here. But the logic applied by the author of the article and The Wire, when turned around on Mr. Varadarajan himself, should hold the same depth, shouldn’t it? Since the article in The Wire insinuates that hosting or tying up with events that have the participation and/or funding from international sources could result in lobbying, would the same logic be application to him and The Wire? The Wire’s funders (donors) seem to be a consortium of companies that seek government contracts regularly. Are we then to assume that all the stories The Wire does on the government, are in fact negotiating tactics by its funders to extract concessions? Of course, do keep in mind that these aren’t allegations I make personally. I am simply applying their own logic to draw parallels to prove just how ridiculous The Wire’s claims are. 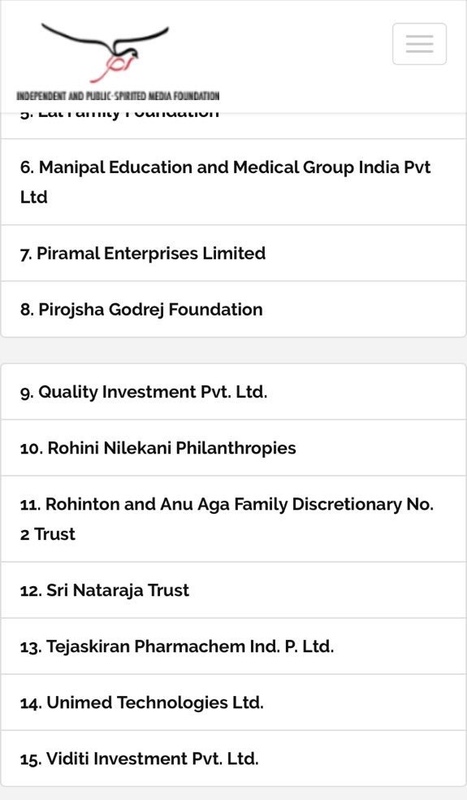 Mr. Varadarajan and The Wire say that one of their greatest donors is “Independent and public – spirited media foundation”. When one looks at the people who donate to IPSMF, the list consists of people who regularly seek government contracts. Can a “conflict of interest” case be made against Mr. Varadarajan and The Wire itself, by his own logic? Moreover, all leading media companies like Times Group, NDTV, Indian Express, and India Today regularly run sponsored events in which ministers are brought out. 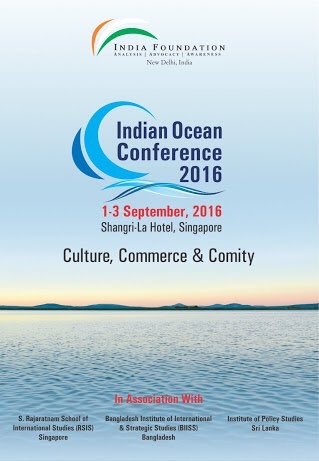 The event brochures boats of all the ‘influential’ people who will attend it. Is The Wire claiming then that any platform that bring together ministers and corporate houses is essentially a corrupt platform, and this would also apply to all these media companies? Curiously even here, there is not one single example given of a corporate house that might have got some contract owing to some event, or for that matter any actual example of any form of unethical conduct. Indeed if bringing Ministers and Funders on a stage is unethical conduct, the entire plethora of Delhi’s policy & press community including The Wire and Mr Varadarajan would stand indicted. 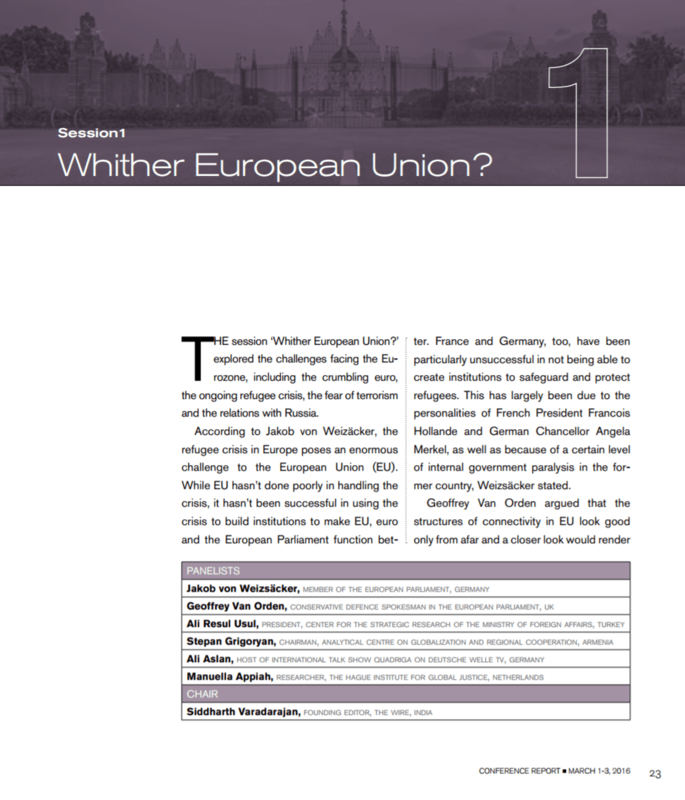 It is curious that a platform such as The Wire that constantly castigates the government for being removed from ground reality, does not want free and frank exchanges between government and industry facilitated precisely in order to make the leadership feel the pulse of industry. As for ministers not being involved in events where funders are present, this is a laughable suggestion and goes very much against the grain of multi-stakeholder consultations. If Government does not hear from industry on issues like defence who exactly are they meant to hear from? The Wire? Just like their article on Jay Shah tried to hide turnover vs profit distinction, this article too tries to hide a crucial information, albeit in more sinister and dishonest way. While throwing the charge that India Foundation could have partnered with Boeing even though it was under the scanner of CBI in a corruption case, the article hides the fact that the assumed ‘partnership’ happened in 2016, while the CBI started its probe only the following year. 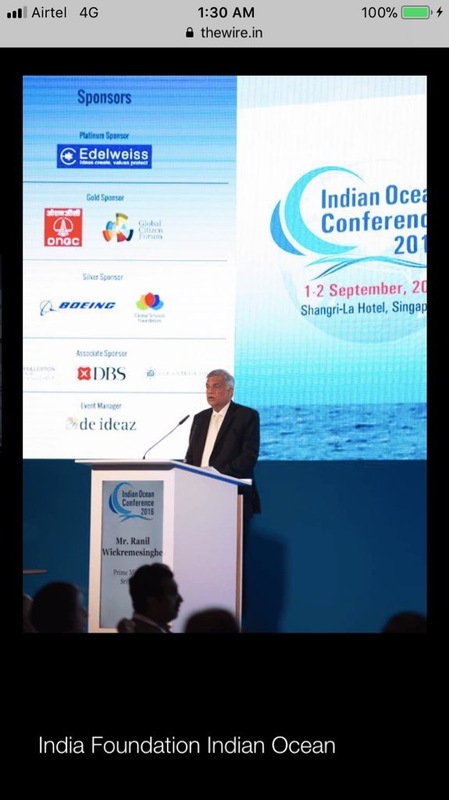 The jugglery here is amazing – That funding obtained from Boeing for the 2016 Indian Ocean Conference held in September of 2016, has questioned over an alleged malfeasance committed not just before BJP’s tenure but during the tenure of the previous government. To hide this fact in a very dishonest way, The Wire uses a photograph that is cropped to remove the year in the background so that a reader’s attention doesn’t go there. Full marks for the propaganda. The Wire then goes on to claim that the Foundation is ‘opaque’ and not transparent about its source of earnings. What they fail to realise is that a trust is not bound to put their Balance Sheet online for public scrutiny. Had the reporter (more on her later) been interested in truly investigating the truth, the conclusion of which might not have suited the pre-determined agenda, she could have simply gone to the Registrar of Trusts and acquired the Financial Statements. She clearly failed to do so. Firstly, the report makes wild speculations, which is supposed to be an exclusive expose of wrong doing. And the reporter has provided no proof, this allegation is moot to start with. In spirit of the article that his website has published, should one ask The Wire editor Siddharth Varadarajan, that considering he got the Foreign Secretary’s son, Mr. Dhruva Jaishankar to write for his website in March 2016, and two months later ended up going to China for a junket, was there a conflict of interest with tangible results in just 2 months? 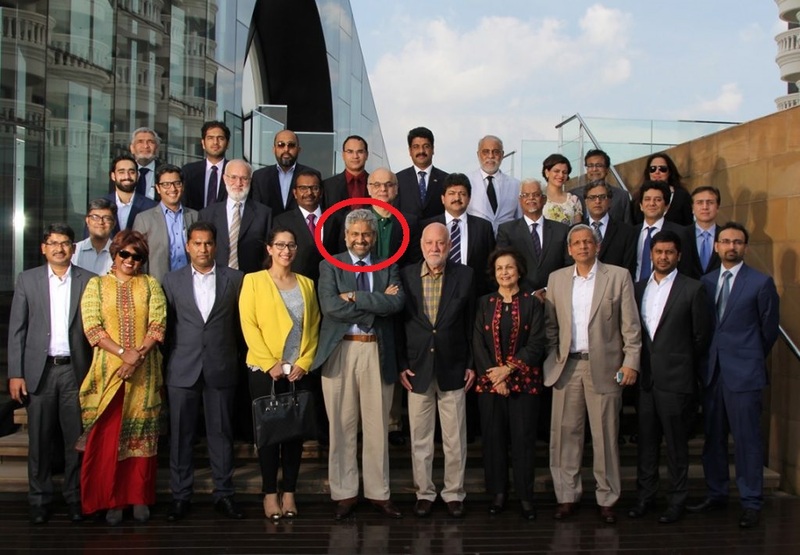 Mr. Varadarajan was a part of Media Delegation [pdf] that went on the State visit of the President to China again in May 2016. These are not allegations I make, but his logic which is being applied to him. If The Wire thinks that Shaurya Doval is making money due to his ‘connections’ and ‘networking’, perhaps it’s a manifestation of what the founders of The Wire have done themselves. This is not just about getting foreign junkets. At least two of the website founders — MK Venu and Siddharth Varadrajan — have made bundles of money from Rajya Sabha TV, which if funded by taxpayers, thanks to their ‘networking’ with the then Vice President Hamid Ansari, who controlled Rajya Sabha TV. The ‘networking’ between Ansari and founders of The Wire can be gauged from the fact that Ansari was the person who launched the Urdu version of The Wire earlier this year. Honestly, I felt like rejecting The Wire’s story the moment I saw who had written it. The “exclusive expose” was written by a reporter named Swati Chaturvedi, who has a colourful history when it comes to journalism. Swati enjoys perhaps the lowest credibility among all journalists. Swati Chaturvedi, the author, is an abusive social media troll, who has been repeatedly exposed for lying. She had falsely claimed that Leonardo Di Caprio would be a at an RSS event. She has been caught lying on prime-time TV. Most recently she was accused of plagiarism, by another journalist! Chaturvedi’s stories usually come from some or the other “source”, and the credibility (or existence) of the source can be judged by the events happening after the story. For example, in July 2017, days before JDU and RJD parted ways, Chaturvedi wrote a piece titled: Why Nitish Kumar’s Bihar alliance with Lalu Prasad is safe. Prior to that, Charturvedi had claimed that Shivraj Singh Chauhan would be elevated to the Centre as Defence Minister. That too didn’t work out. It is puzzling as to why The Wire chose to carry an article by such a discredited journalist who equates this shoddy, rehashed “investigative report” laced with unsubstantiated insinuations, with the alleged improprieties committed by Mr. Robert Vadra, without providing a shred of evidence to prove any impropriety on the part of Mr. Shaurya Doval. Unsurprisingly, The Wire has done two such shoddy stories recently, among many others. One by another journalist who quit twitter after her biased reportage of the Uttar Pradesh elections, and the other, Ms. Chaturvedi and both shoddy stories were shared rather promptly by Mr. Rahul Gandhi himself and goes to show the substandard editorial stand taking by The Wire, as well as the subpar political acumen of Mr. Rahul Gandhi.